Tomorrow is the official kickoff of summer, so what better day to share with you the contents of the FabFitFun Summer Box!? 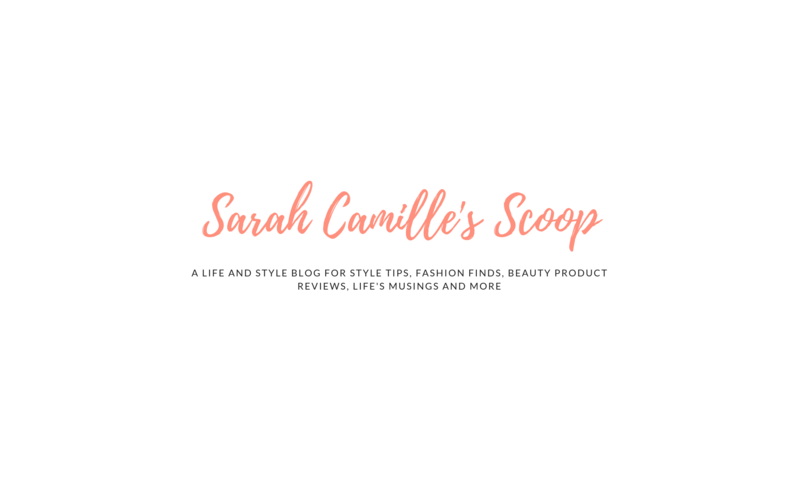 FabFitFun is a quarterly subscription box and each season, four times a year, they send you a box full of a variety products in categories like beauty, fashion, and fitness, that total more than $200. These boxes are a fun way to pamper yourself a few times each year, learn about new products or give someone else an awesome gift. I am continually impressed when I open up these boxes, so I’m excited to share with you what lied inside the FabFitFun summer box. Keep scrolling for all the details and $10 off your first box! I put an asterisk by the summer box contents I received. The first three items listed are ones that were included in all FabFitFun Summer boxes. This new facial cleansing brush from FOREO made its debut in FabFitFun’s summer box. It is powered by Bluetooth technology and advanced skin sensors to create a totally personalized profile, which is sent straight to the newly launched FOREO LUNA app. I am impressed with this device so far, but will be sharing a more detailed review to see how this compares to my current cleansing device. I am loving marble home decor lately and this ring dish is so pretty. It is about four inches wide, and I think it could also work as a nice soap dish! This SPF 50 and water resistant sunscreen is perfect for your face during the summer. The scent is fabulous and it absorbs into your skin without leaving a greasy feeling. These towels are super soft and the microfiber fabric means sand won’t stick to them. Members get to pick between a pineapple print and palm print. I’ve always thought pearls make for a classy statement no matter what. This ring’s design has a modern touch with the gold band and I’m excited to wear it this summer! This body gel uses Rosemary, Black Pepper, Lavender and Ginger essential oils to relieve your achey muscles. Sounds perfect for some post-workout pampering! This body caviar is like an ultra luxurious salt body scrub and it claims to deliver a new level of moisture and softness. I’m intruiged! This palette includes four highlighting powders and two matte contouring shades. There are also mirrors inside the two flaps and it is a compact size that is perfect for traveling. Tarte’s eyeshadow palette features matte, metallic and shimmer shades. The pigment is impressive and it is great as a neutral-with-a-twist palette! The liquid eyeliner is jet black, goes on smooth and lasts all day. This spray protects your hair from damage caused by the sun, while also reducing hair frizz, sealing split ends, protects color, increases shine and more. Sounds like magic to me! I love a good exfoliator and this one uses Papaya enzymes and pineapple extract. It smells amazing and leaves my skin so soft. It is gentle too, so I’d recommend it if you have sensitive skin. I use these all the time at the gym, but have never invested in my own. It will be a great way to spice up my home workouts and keep my muscles toned! This vegan leather card holder is super cute! I use a similar one to keep gift cards and receipts organized. This face exfoliator promises to give you brighter, smoothing and glowing skin after one use. Overall, I loved the summer box! The total value for my box is $348.99 based on the items I selected. The Vasanti and Elemis products seem super similar to me, but other than those items there is some great variety. The FOREO LUNA fofo might be my favorite product. I am really excited to try it out with the app and get customized skin care tips. Annual subscribers get the perk of picking out all the contents of their FabFitFun box. To become an annual subscriber you pay $179.99 for the year, which equates to $45 for each box instead of the standard $49.99 per box. In addition to the box and all its contents, subscribers get access to beauty tips, workout videos and coupon codes for the box’s featured brands. Click here to get $10 OFF your first FabFitFun box! What do you think of this year’s FabFitFun summer box? Did you receive the FabFitFun summer box? If so, I’d love to hear what you though. If not, is there a product in this box that you have tried or are tempted to try? I’d love to hear your thoughts on subscription boxes like this one. Are there any similar subscription box programs that you recommend. Share your thoughts in the comments! This looks like such a great box! I have been hearing a lot of stuff about fabfitfun lately. I’m not really into this but I know my sisters would absolutely be all up in this. I haven’t yet tried the fabfitfun boxes, but I love how unique the products are that are in them. It’s a neat subscription! I love the FFF box. I thought the eyeshadow was way too pigmented, but I still use it. I haven’t tried the skin cleaning machine thing yet. It looks like fun though. I love subscription boxes as they offer products I might never have the chance to try. This box isn’t available in my country though! This Tarte eyeshadow palette is fantastic! I am intrigued by the facial brush. I can’t wait to hear your thoughts on it after you have tried it for while. Ok, that cleanser that maps out your face sounds awesome! And I have a ring dish I keep in the kitchen for when I am working with raw meat, they are a great way to make sure the kids (or cat) don’t knock my rings off the counter. The summer box has a great selection of products! I’m not a huge subscription box person because I like to experiment with makeup in person. But this is a great way to try before you buy all full size items! These are all great items to make my favorite season more beautiful. Thanks for sharing. Great selection of products! Feel like I need to treat myself to a bit of pampering to get ready for summer!